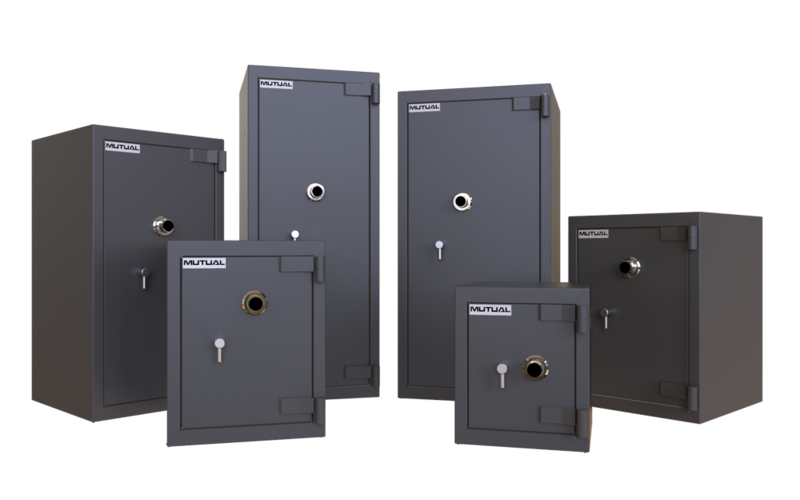 For use in the home or office, the Mutual TL30 Range of UL Safes, with its six-sided composite construction and 2 hour fire protection is the best choice. Massive 40mm chromed locking bolts, secured with a high-security U.L. listed GroupII combination lock is standard on the TL30 Safe. The lock is mounted on a 6mm ball bearing anti-drill plate, and as an extra measure, a plate of tempered glass connected to a randomly placed re-locker, is mounted behind the combination lock. In addition the Safe is equipped with a seven lever high security key lock which is ideal for use as a day lock. 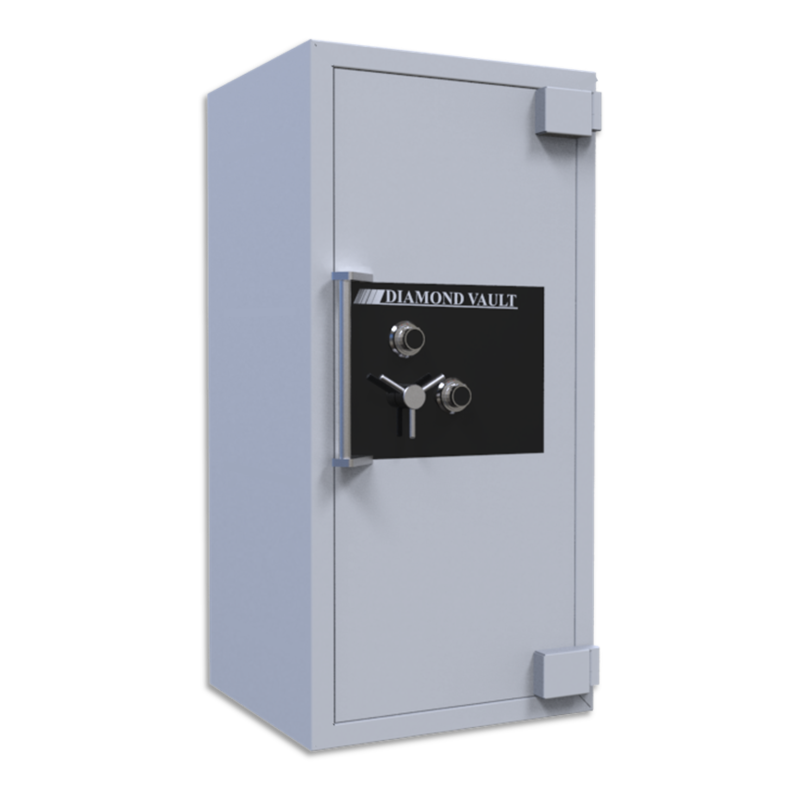 For those seeking the ultimate in TL-30 x 6 security, the Mutual Jewelry Vault provides the answer. The Jewel Vault’s composite body is a solid 80mm thick and incorporates 18000PSI denisty concrete embodied with corundum aggregate and encased in a double layer of high -tenstile steel. The door is 178mm in overall thickness wich includes 80mm of solid barrier material. The Jewel Vault incorporates up to seven massive 50.8mm chromed locking bolts, secured with two high-security, U.L. listed GroupII combination locks. A huge floating glass plate “nerve center” covers the entire locking area. Additionally, the mechanism is protected by dual plates of tempered glass which will activate two randomly located re-locking devices in the event of a burglary attack. For ease of use the tri-spoke re-locker is adjustable and equipped with an internal captive cross lock which secures the re-locker bolt once it has fired. For use in home or office, the MUTUAL Vaults with it’s six sided composite construction and two hour fire protection is the only choice. Available in TL-15 and TL-15X6 categories. 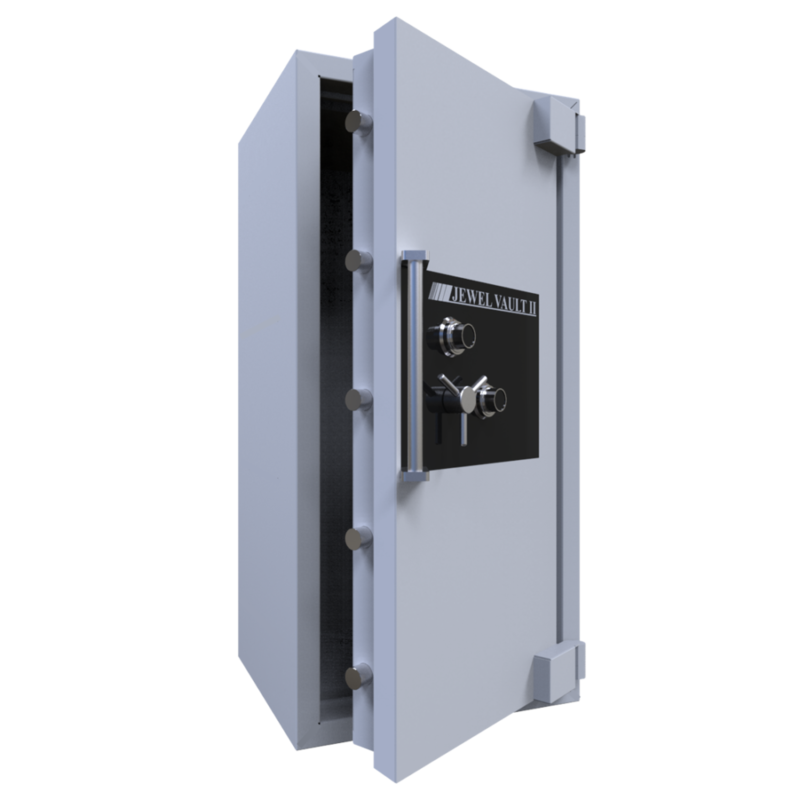 All around the world, the MUTUAL Vault sets the standard in TL-15 and TL-15×6 protection. The Vault’s body consists of 9,000 PSI concrete embodied with corundum aggregate and encased in a double layer of high tensile steel. The door is nearly 5 1/4″ in overall thickness which includes 2″ of solid barrier material. The Vault’s TL-15X6 body consists of 12,000 PSI concrete embodied with similar ingredients to the above, but offers complete 6 sided protection. Massive 1 1/4″ chromed locking bolts secured with a high security UL listed Group II combination lock are standard on the Vault. The lock is mounted on a magnesium anti-drilling and cutting plate. As an extra measure, a plate of tempered glass connected to a randomly placed relocker is mounted behind the combination lock.